Lennar Corp. broke ground Thursday on its Veleiros at Crystal Lake, the first new master-planned community in Deerfield Beach in more than 25 years. Miami-based Lennar, the country’s largest homebuilder, also announced new details for the 415 single-family home and townhome community at 4036 Veleiros Boulevard. Veleiros at Crystal Lake will include 290 one-story and two-story single-family homes with prices starting in the low $300,000’s as well as 125 townhomes starting from the upper $200,000s, with three-to-four bedrooms, two-to-three bathrooms and attached garages. The project will be built on more than 100 acres on the corners of Military and Sample Road on the site of a former golf course called Crystal Lake Golf Club. Lennar purchased the property in March for $12.8 million from Hoyer Homes. 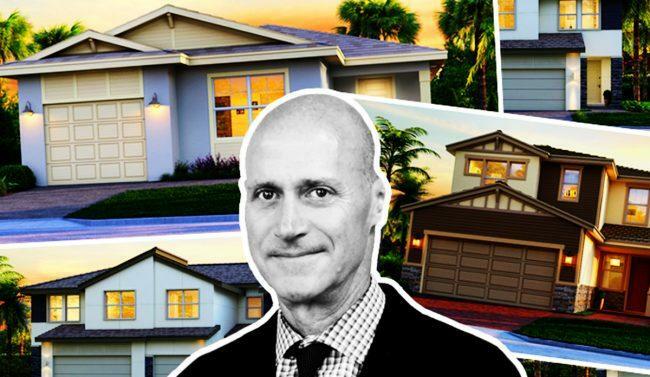 Lennar Palm Atlantic Division’s Christopher Leimbach said sales will launch this weekend and the sales office is already setting up appointments with prospective buyers. He said the first buyers will be able to move in by 2019. The community is expected to be completed in two years. Veleiros will also include Lennar’s smart home feature with Amazon, which allows homeowners to be connected to their devices. Lennar became the largest homebuilder in the country when it acquired CalAtlantic in a deal worth $9.3 billion earlier this year. The company has been actively buying up land — including golf courses — in South Florida as land becomes more scarce, but demand for affordable, single-family housing remains high.